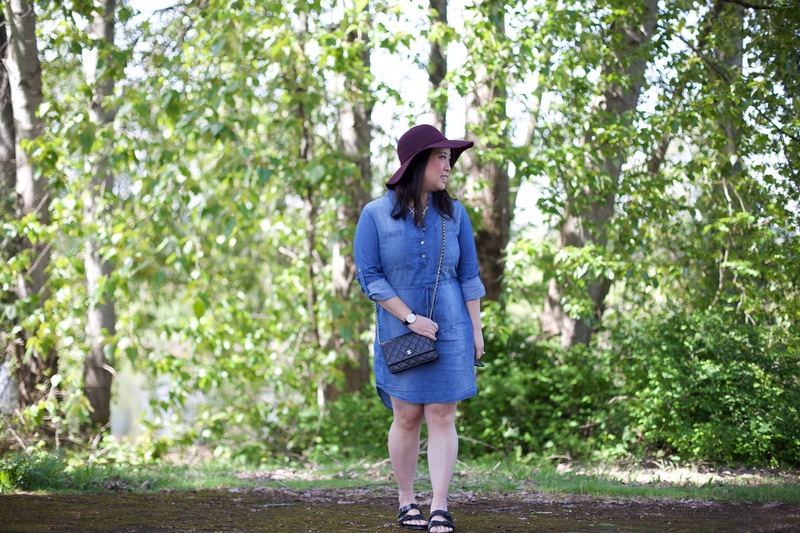 She is Lovely: **Closed** Chambray Shirtdress + Jewelry Bean Giveaway! 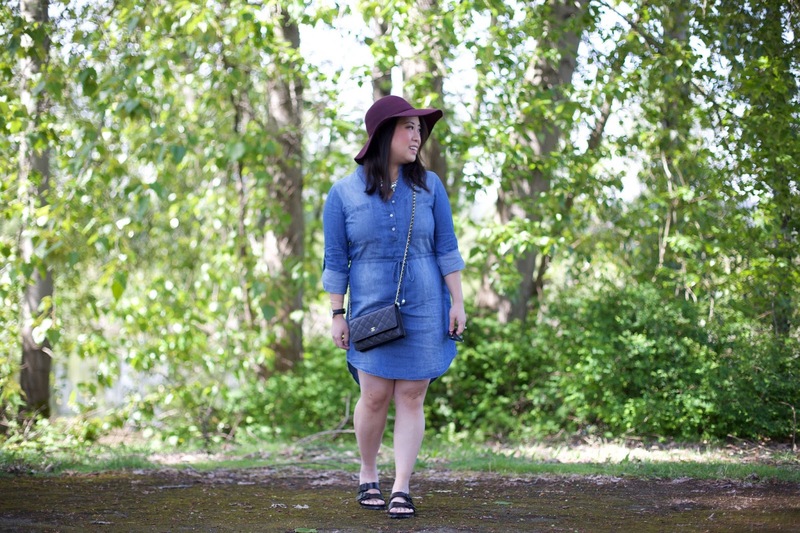 **Closed** Chambray Shirtdress + Jewelry Bean Giveaway! 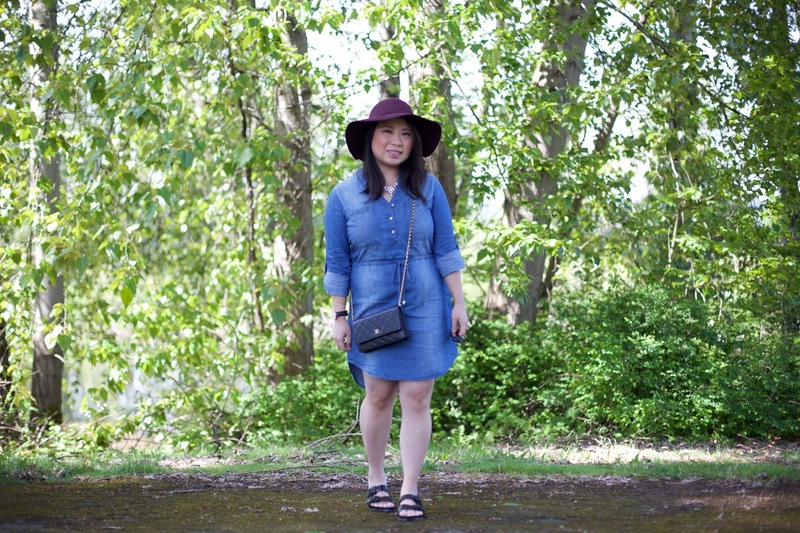 One of the many reasons why I love Spring so much is breaking out the Spring dresses and this chambray shirtdress from Fred Meyer is perfect to take out for a cool day like this. 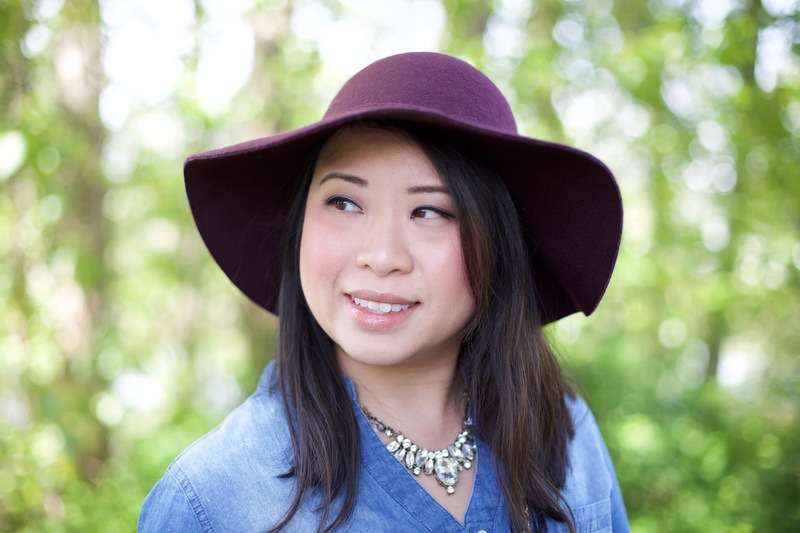 You don't have to do much to it besides pairing it with a couple of accessories like this burgundy floppy hat which is also from Fred Meyer and this sparkly necklace from ILYMix aka Jewelry Bean! It definitely adds to any outfit! Also, I've been loving my first pair of Birkenstock from Nordstrom that I had picked up recently.. seriously they're so comfortable and they're only $35! Yep.. that's right! $35!! Get on it! I would love the "Tribal Boho Drop Statement Necklace | Two Colors" and the "Boho Oversized Statement Necklace", they're both gorgeous! 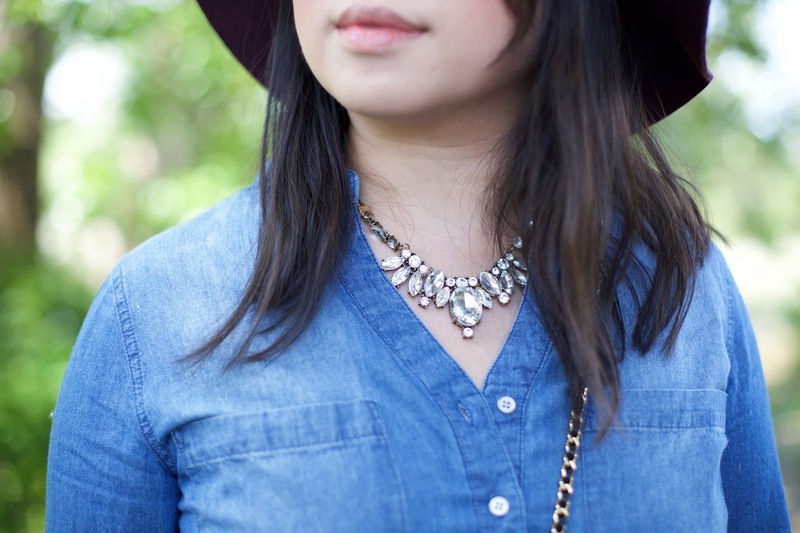 I really, really, really love the Shine Bright Statement Necklace and the Boho Glam Statement Necklace! I love them so much! 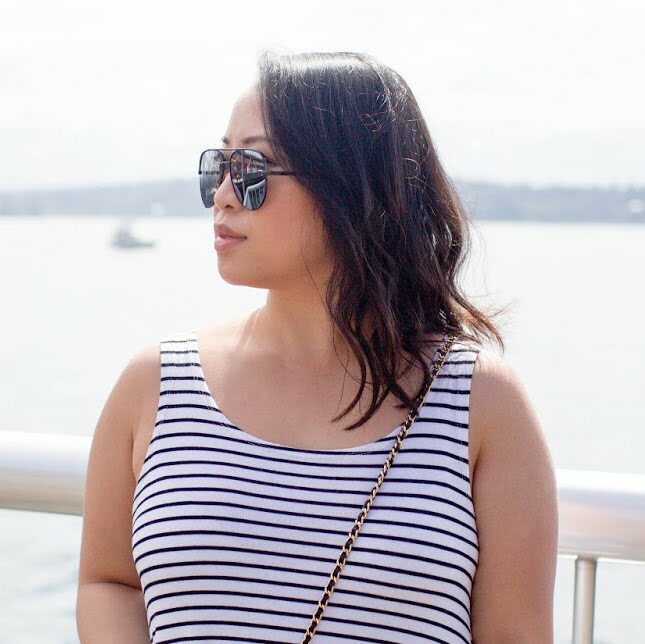 I like the Art Statement Necklace and the ANTIQUE BRASS GOLD STATEMENT NECKLACE! The 2 necklaces I'd love to win are the Boho Oversized Statement Necklace & the Gem Stone Long Necklace! I like the Chic Cluster Statement Necklace and the Double Leopard Collar Necklace. I like the Black Bloom and Blue Crystal necklaces. I am in love with the glam-and-chic-statement-necklace and the Mint-tone Lagoon Statement necklace. It was so difficult to choose, they are all so pretty! I really like their stuff! I can't pick two - Blue and Gold Statement Necklace, Blue Stone Statement Necklace, Glam And Chic Statement Necklace, Pearls and Crystal Gold Choker Necklace, and Sparkle Clear Crystal Statement Necklace are my favorite! Denim look so nice on you. Snd i love your hat so much. Great blog you have, stay inspired! The Crystal Vintage and Glam and Chic. BLACK BLOOM STATEMENT NECKLACE and BOUQUET FLOWER COLLAR NECKLACE. They are lovely! I love the BOHO TRIBAL STATEMENT and BOHO BOHEMIAN COIN BIB NECKLACE! I would pick the SPARKLE CLEAR CRYSTAL STATEMENT NECKLACE and the MINT-TONE LAGOON STATEMENT NECKLACE. I would pick this http://www.ilymix.com/collections/necklaces/products/sparkle-clear-crystal-statement-necklace?variant=15920597446 and http://www.ilymix.com/collections/necklaces/products/black-bloom-statement-necklace?variant=15920276678 and if i win i will make my girlfriend very happy :) Thanks for chance to win, you have a great blog ! I like the Vintage Inspired Pearls Statement Necklace and possibly the Brass Gold Leaf Statement Necklace. I say possibly because I'd like to let my daughter pick one out and I'm not sure which one she would like. Can we change out minds??? I love the hat! I wish I didn't feel silly in them because they look amazing on others! Pretty photos too, I love all the green. It's so dry where I live! I would be delighted to win the LAYERED UP GEMS DELICATE NECKLACE and the DELICATE DOUBLE PENDANT NECKLACE. Thanks for this opportunity! 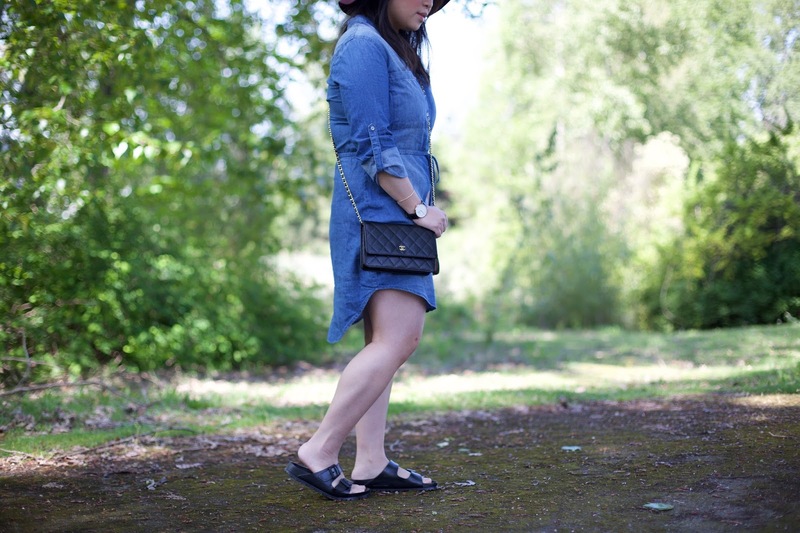 oohhh the boho oversize! so pretty! xO! Mint-tone Lagoon Statement necklace and the Tortoise Statement Necklace are favorites.